CLOSEOUT - Limited sizes and quantities. 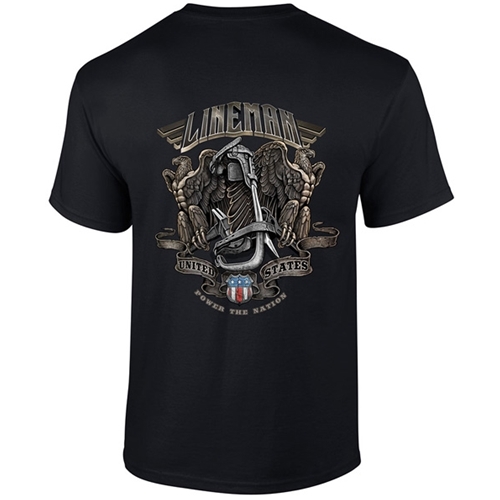 Show your support for linemen that "Power The Nation". A quality short sleeve tee with multi-color custom design.